In 1965, a plaza was constructed in downtown Philadelphia across from city hall, atop an underground parking garage. It was dedicated to President John F. Kennedy in 1967. In 1969 a single spout fountain was added which, at times, has the water dyed to commemorate or note certain events, such as pink for breast cancer awareness, generally in October. 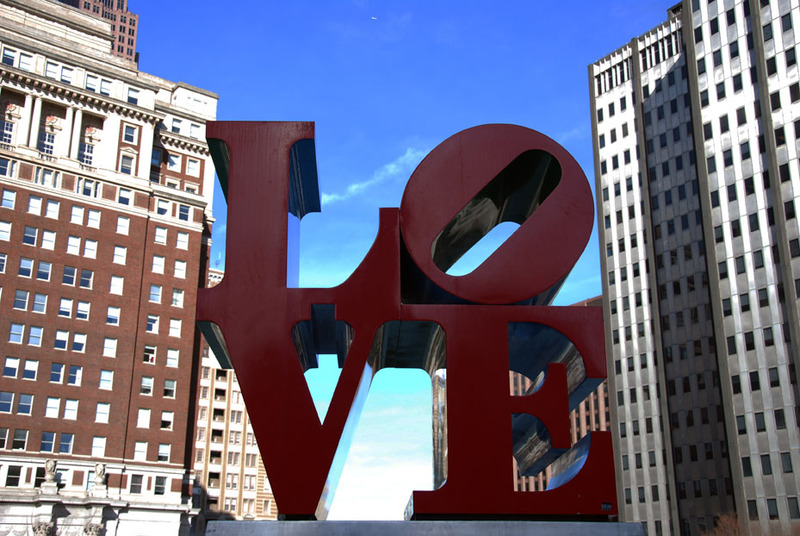 For the United States Bicentenniel in 1976 Robert Indiana created the Love sculpture. It was removed for a time in 1978 but placed permanently in the plaza after numerous complaints that it should return and remain. For approximately two decades the plaza was a popular skateboarding location, due to its large granite surfaces and curved steps, but the mayor banned the activity in 2002, as well as changing the landscape to the locale by adding plants and grass, among other items considered barriers, making boarding less attractive. 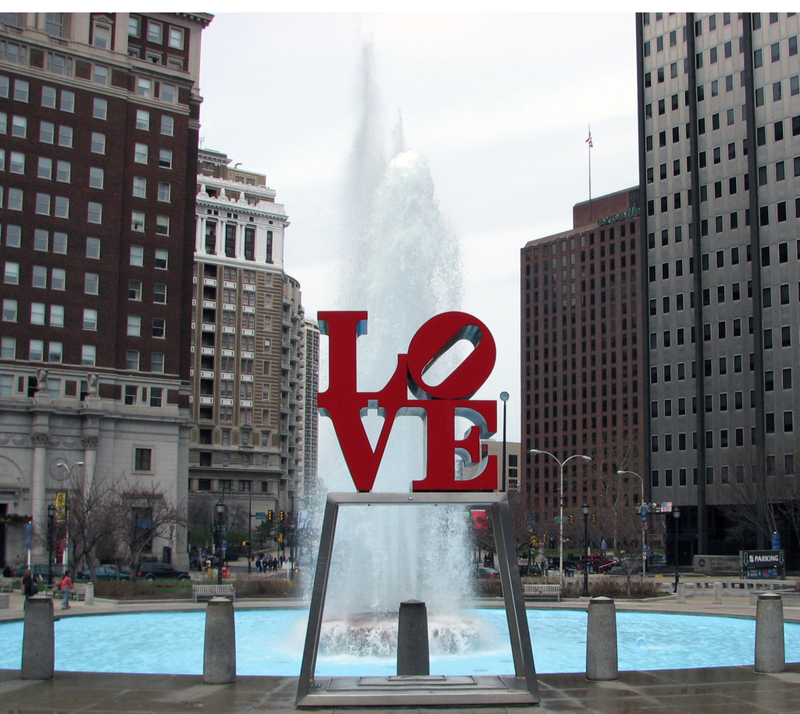 Love Park attracts scores of thousands of visitors every year and offers an excellent photo opportunity, especially when the fountain is spewing colored water.